After the end of the press embargo, the video is online again with five additional videos. Please find the links to the videos in the new posting here. Thanks to information from Dan Streible, professor of cinema studies at New York University’s Tisch School of the Arts, we became aware of an additional source for our quest for the colors of Caligari (see initial post here). 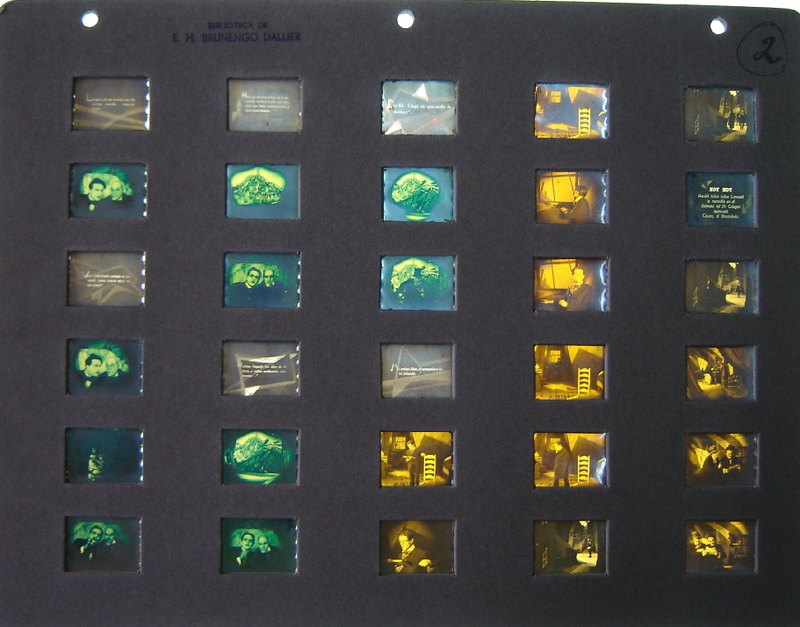 The Museo del Cine Pablo C. Ducrós Hicken, Buenos Aires under the direction of Paula Felix-Didier holds a sample book of individual tinted and toned frames from “Das Cabinet des Dr. Caligari”. 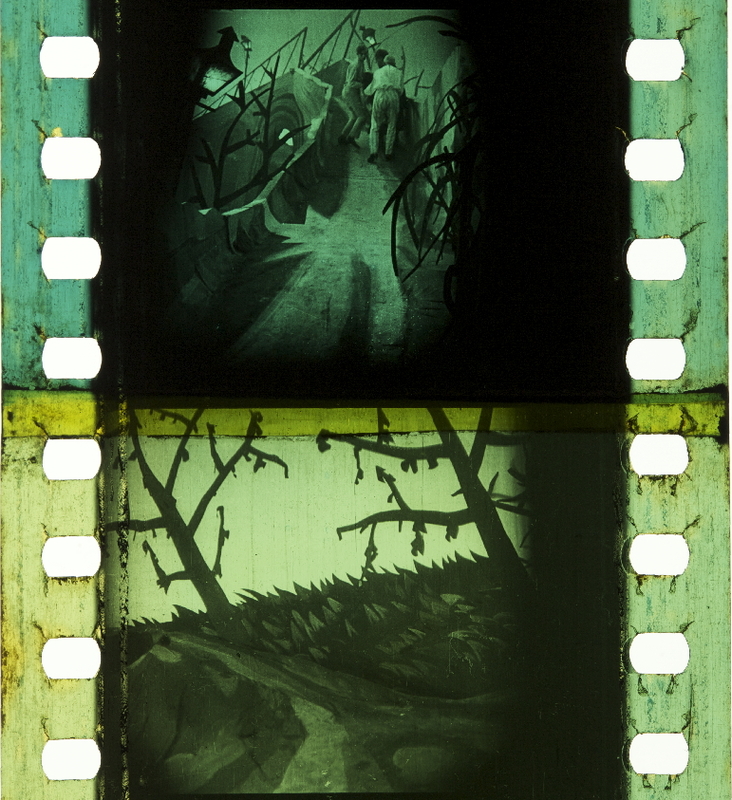 The restoration by the Friedrich-Wilhelm-Murnau-Stiftung in Wiesbaden is currently under way under the supervision of Anke Wilkening at L’Immagine Ritrovata in Bologna and will have its premiere at the Berlinale Film Festival in February 2014. 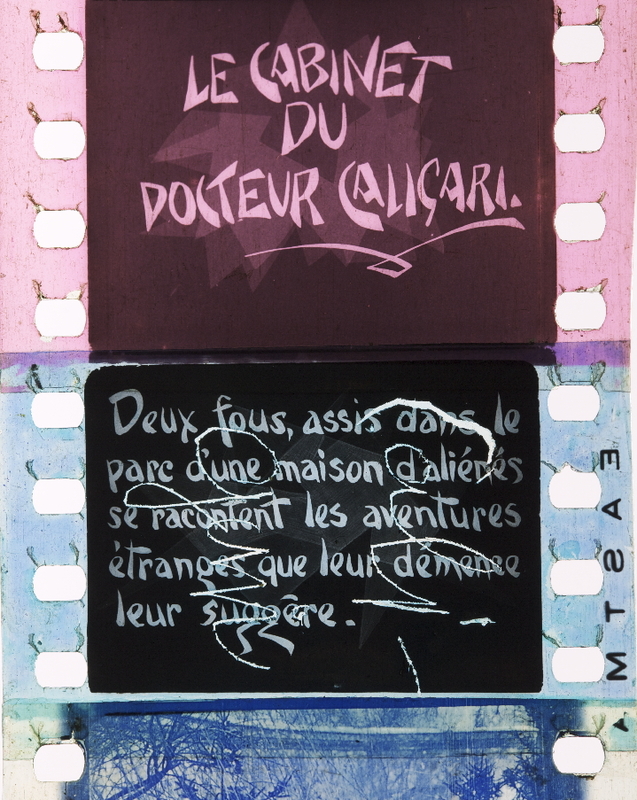 Sample book with individual frames of “Das Cabinet des Dr. Caligari” (GER 1919, Robert Wiene). Credit: Museo del Cine Pablo C. Ducrós Hicken, Buenos Aires. DIASTOR is involved in the restoration of “Das Cabinet des Dr. Caligari” (Germany 1919) by the Friedrich-Wilhelm-Murnau-Stiftung in Wiesbaden, currently under way under the supervision of Anke Wilkening at L`Immagine Ritrovata in Bologna. 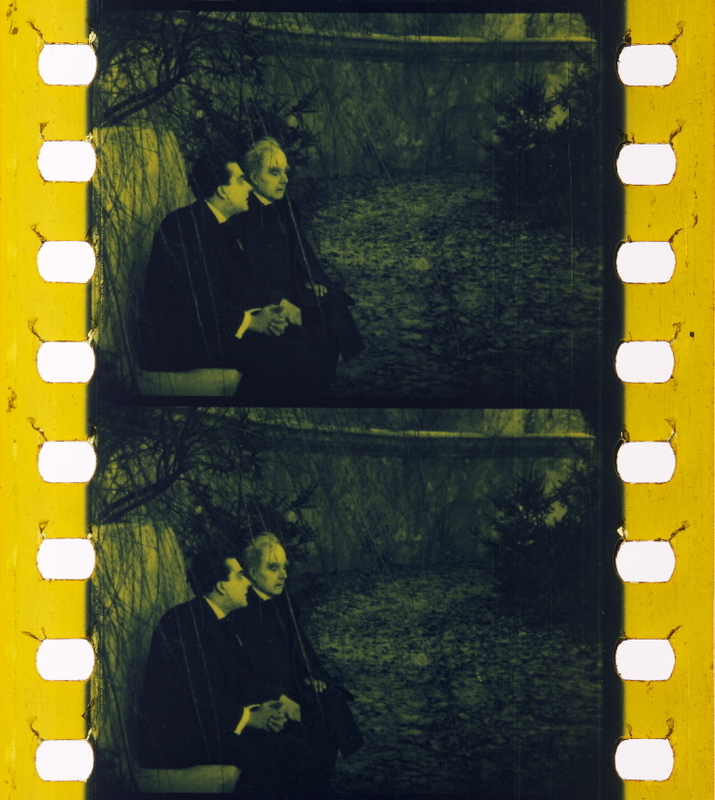 Based on the findings of their previous research project “Film History Re-mastered” the DIASTOR research team investigates differently tinted and toned nitrate prints regarding their color schemes and the application of the various tints and tones. Our aim is to identify the colors applied and the relationships among the different prints in collaboration with Dr. Ulrich Ruedel from the British Film Institute. An extensive photographic documentation of the colors from the 1920s has been completed by project manager Barbara Flueckiger in Bologna. 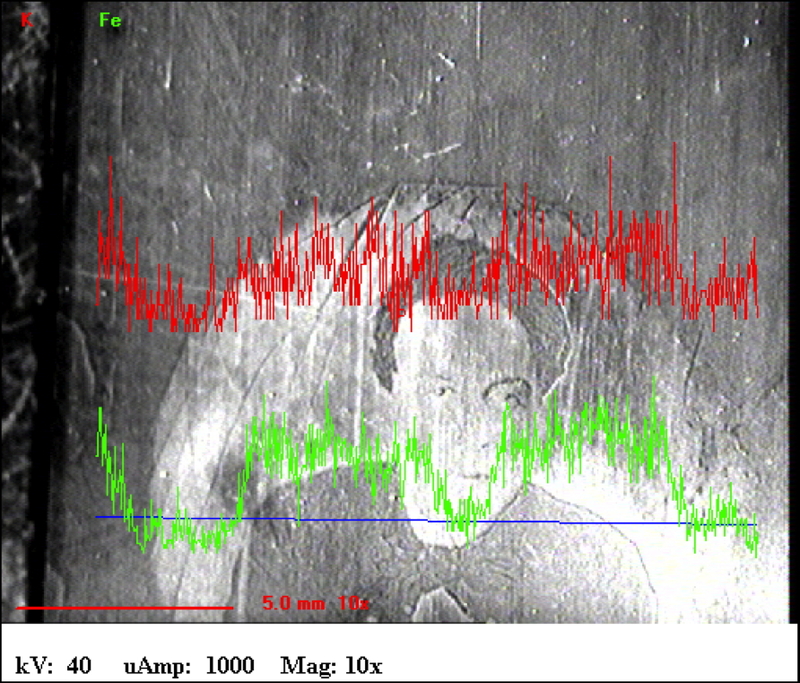 Nobel prize laureate Prof. Dr. Richard R. Ernst has conducted measurements on the Raman spectroscope. Additional measurements are scheduled for next week.